People in China that really care about reading uncensored Google search results can do it easily. They just have to install Anchor Free’s Hotspot Shield, a software program that routes your web connection through the United States. Anchor Free is a profitable startup that secures and encrypts webpages for users. CEO David Gorodyansky tells us to think of Hotspot like this: If you’re in China, “we put you in a tunnel and send you on a virtual trip to the United States. 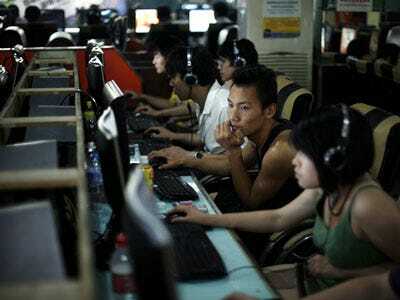 You’re connecting to the Internet outside of China,” so you can see uncensored Web pages. David says the company has 1 million users in China. The company’s success there has been built by word of mouth, because China blocked Hotspot’s site last summer. David says users are emailing the software to each other. Each month 4 million people log on to an uncensored version of Google from somewhere in the world where the sites results are censored. Each month 1 million people get on YouTube from places where YouTube is blocked like Turkey and elsewhere. 2 million get on Yahoo from places where it’s censored. 1 million get on Skype from places where it’s blocked like Egypt. Hotspot has a staff of 20, and makes all of its money through advertising. As you surf the web with Hotspot, the company serves up little ads. David says Hotspot has 7.5 million users, and serves 1.5 billion pageviews a month. It works with Yahoo, IAC, Mochilla, and others to sell ads.